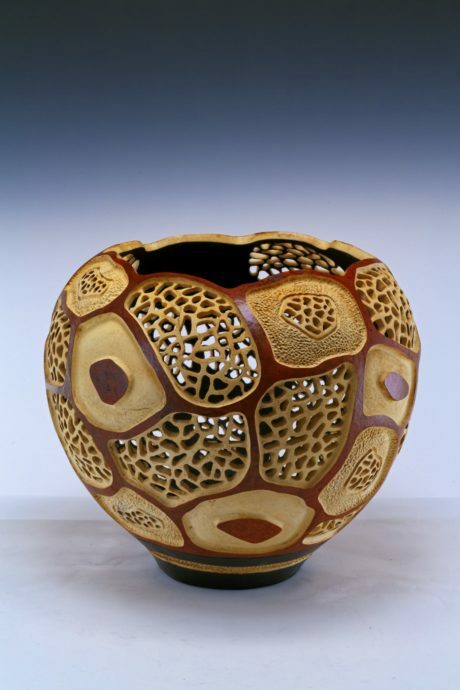 Karen Fenwick’s journey into the art world began as a basket weaver and then as a gourd artisan. 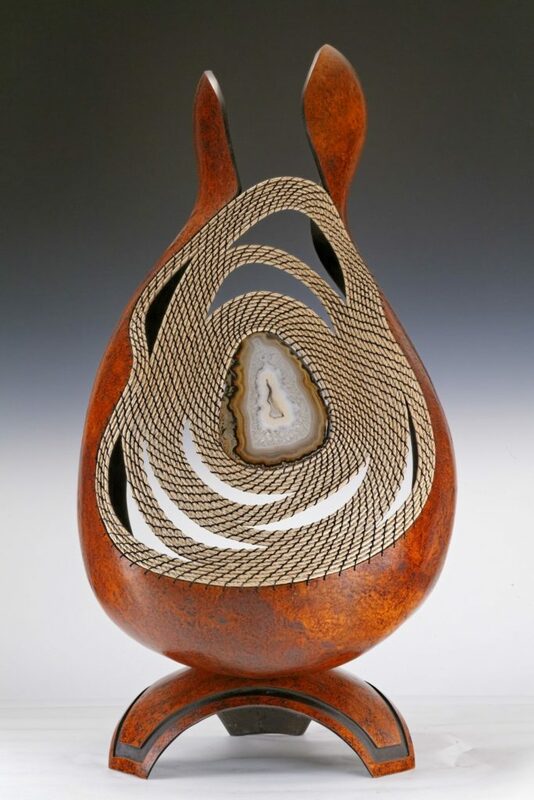 Her goal was to become an accomplished gourd artist and elevate gourd art from a craft to fine art. Karen felt her goal was met when she received the “Best of Show Award” in 2010 in Ann Arbor’s State Street Art Fair. Her gourd art and basketry has appeared in several local papers, featured on Channel 4 and 7, local art galleries, The Michigan Fine Arts Competition at the BBAC (Birmingham, Bloomfield Art Center) ,University of Michigan’s Gifts of Art Exhibit (U of M Health System), Birmingham’s “Our Town”, and the following art fairs: Birmingham’s spring and fall art fairs, Franklin’s Art in the Village, Petoskey’s Art Fair, The Royal Oak Outdoor Art Fair Rochester’s Fine Art in the Village and Rochester’s Arts and Apples.